Prajval and his grandson (not pictured) now worship the Great Healer. WILLS POINT, TX (ANS – September 17, 2018) — Hopeless and helpless, Prajval could only observe as his 1-year-old grandson suffered and grew weak, plagued by near-constant diarrhea and vomiting. The boy’s parents also could do nothing but stand by and watch as their son suffered. Prajval’s heart was heavy. Was there anything more they could do? Prajval and his fathers before him prayed to their ancestors for blessings. However, there were many in Prajval’s family who had suffered from various illnesses, some ultimately perishing. When Prajval’s grandson was born, the family rejoiced, but the young boy, too, fell ill. The child’s parents took him to a doctor, but the prescribed medicine did nothing. Physical remedies exhausted, they pursued a spiritual one. The family took the ailing boy to a nearby traditional priest, hoping he could heal him. But the child still suffered, growing weaker and weaker as time passed. Prajval and his family could only watch, helpless. Amidst this family’s struggles, they met a member of a congregation led by GFA-supported Pastor Sarish. This believer, seeing the pitiful state of the boy, offered to pray for the child, encouraging the family that God could do a miracle. The very next day, the believer brought Pastor Sarish with him to visit the family. Prajval watched as these two Christians prayed over his bedridden grandson. Was this Jesus the answer when all else had failed? After praying for the sick boy, Pastor Sarish invited Prajval and his family to attend the church on Sunday. Curious and hopeful, they brought the boy to the church. 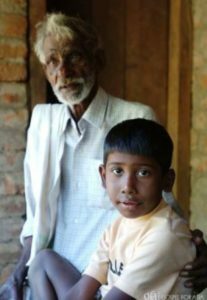 There, Prajval saw something extraordinary: His ailing grandson was completely and totally healed! Witnessing this miraculous healing, Prajval and his entire family chose to set their hope in Christ. Now, grandfather and grandson, along with their entire family, worship and praise God with fellow believers. Read how another grandfather learned of the Great Healer. ** You may use this or any of our ANS stories with attribution to the ASSIST News Service (www.assistnews.net). Please tell your friends or colleagues that they can get a free subscription to our news service by going to this website and signing up there. 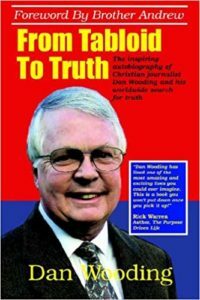 Why did He Believe Jesus Was a Fairy Tale?